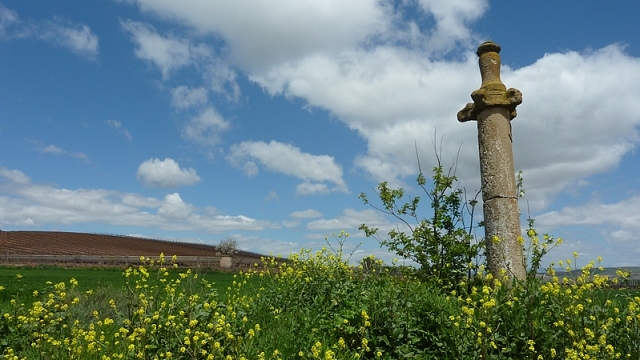 An important crossing point between Nájera and Santo Domingo de la Calzada, Azofra, a noble town of Rioja runs parallel to the Camino. Set in the valley of the River Tuerto, it is a clear example of village - street, a centre in which the houses were erected along the pilgrimage route. Until the XIX century the enclave still had an old working hospital for pilgrims built in the XII century, which no longer remains. Nor has it retained the cemetery that was built for walkers who died on their way to Santiago. Arab in origin, the very name of the town has led to several interpretations. Azofra in theory means "obligation of the vassals who work the land for a small amount of capital." If you are traveling on the Camino de Santiago or are planning to do so soon, you should know that the distance separating Azofra from Santiago de Compostela is 580 kilometers.